Lightweight and ergonomic. 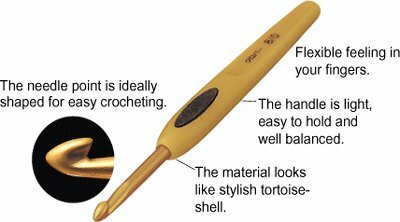 This crochet hook is design to make crocheting comfortable for fingers and hand. The crochet hook has a built in soft cushion for easy crocheting.